When we talk about proving the power of partnership, look no further than our approach to creating programs for your stores. We work tirelessly to align our retailer's needs and our vendor's programs to achieve performance that drives success. Over 70% of c-store purchases are not planned. Having the right high profit margin products in the right place is critical to capitalizing on the sales potential of each store. For that purpose, MR Williams created Novelty Express, which operates as an independent subsidiary. 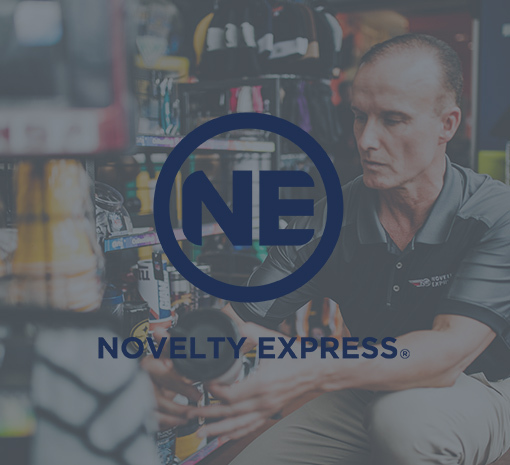 Novelty Express is a fully curated, 100% guaranteed program designed to maximize your store’s profitability. MR Williams is relentless in its approach to maximizing your store’s profitability. Ready to "get with the program"? We’re ready to work with you to put the right programs into your store.